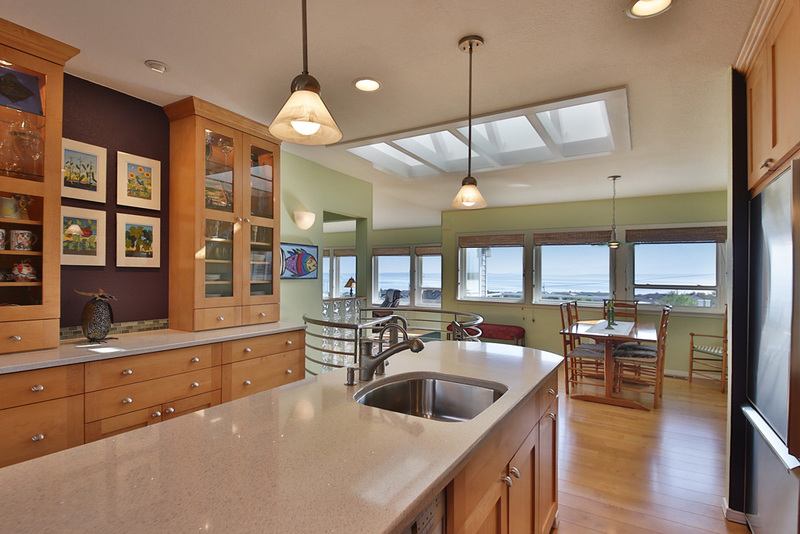 Small enhancements can make a large difference. 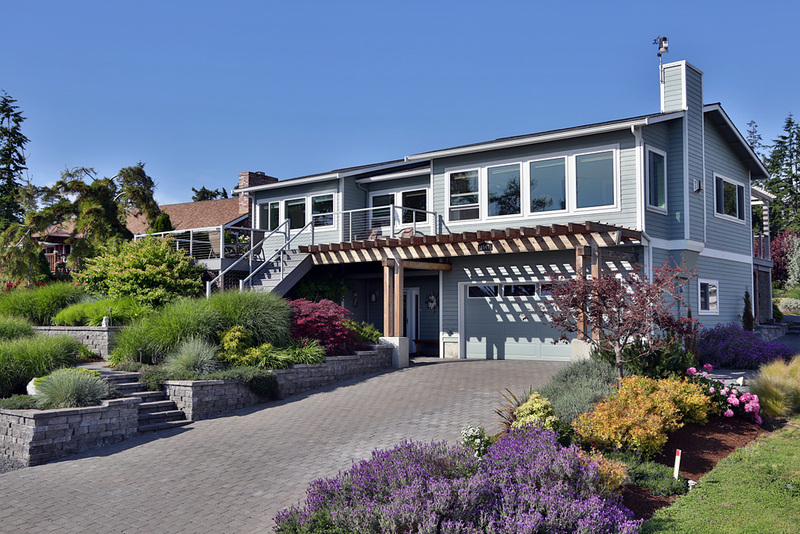 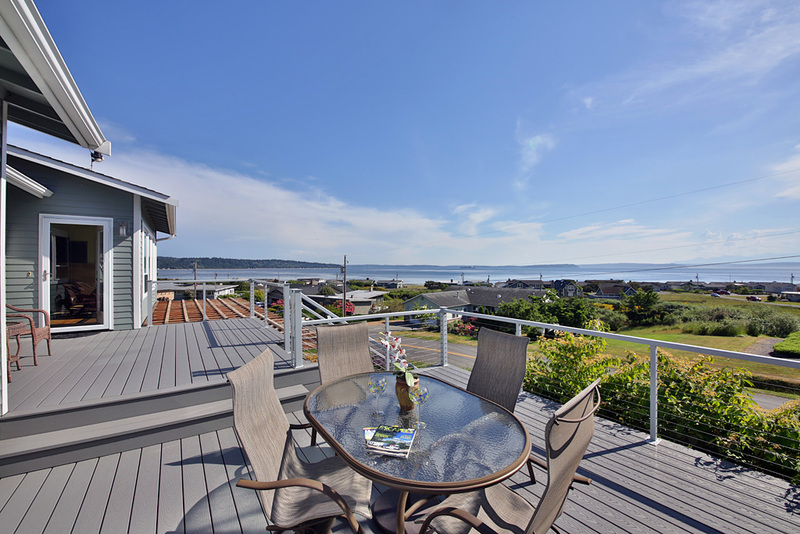 This modest renovation refreshed the street side of the home with a new arbor, decks overlooking the sound and access through the landscape. 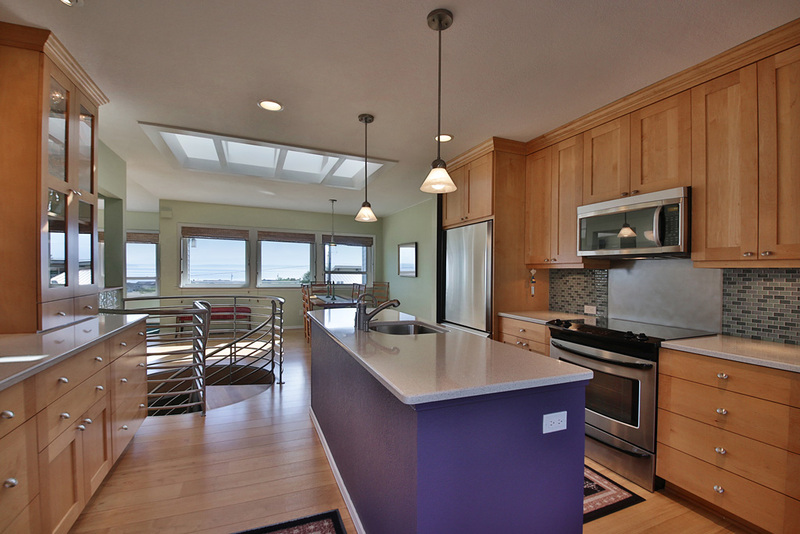 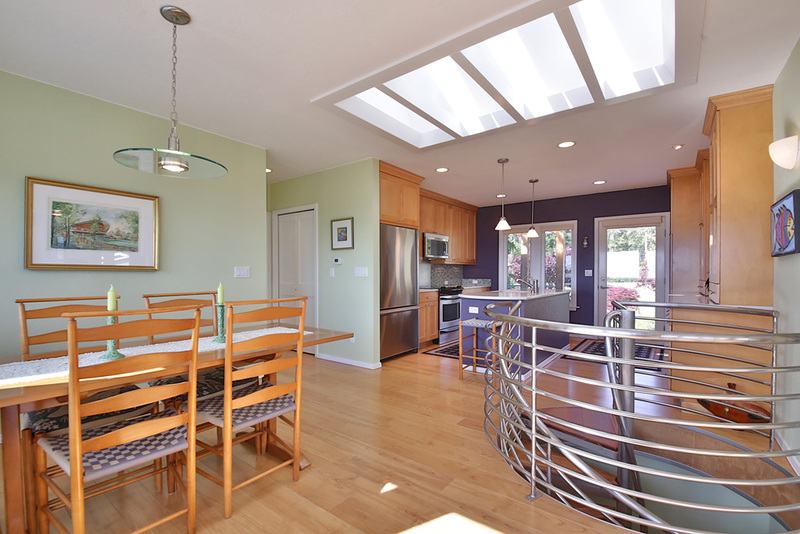 On the inside we expanded the kitchen and used a ridge skylight to lighten the interior. 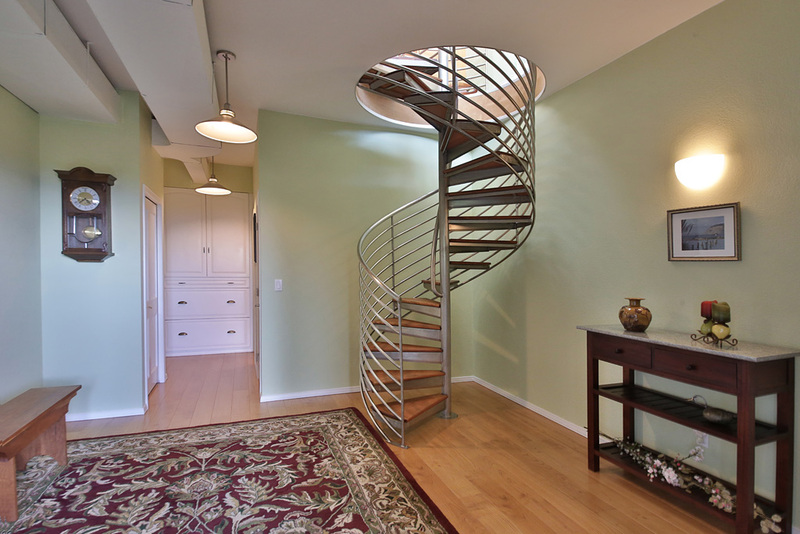 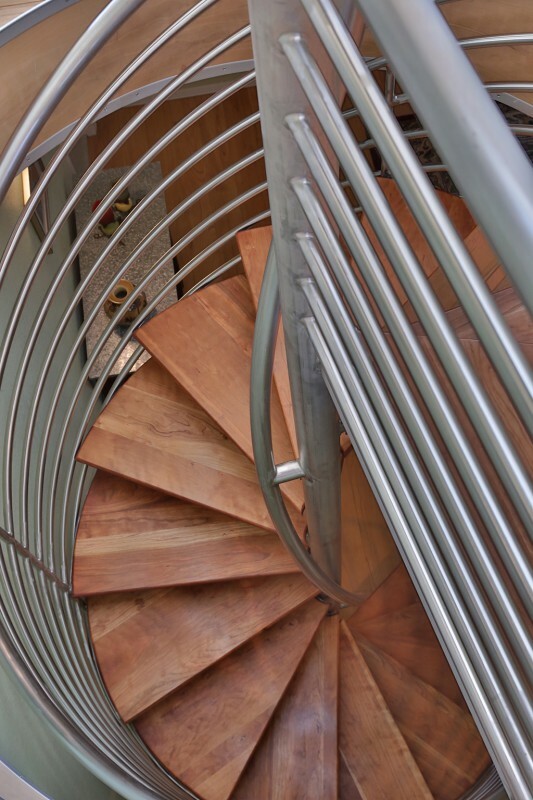 A stainless steel and cherry spiral stair brings light to the basement – providing an artistic centerpiece to the home.